The ESV, because non-American CCBs are adopting it for the lectionary, it is beautiful and "essentially literal", and generally doctrinally accurate; these remarks mostly translate to the RSV-2CE, but that translation seems to have little future. Sorry: Name, CJA Mayo (it's my handle as well). Any idea what Bible Mr. Madrid is using in the DVD? I'm sure it's the RSV-CE, but which one? I have wondered that myself, but I don't know of any RSV-CE that is of the size that he is using. The NABRE because it is solid Catholic biblical scholarship, it is a commensurate English idiom of the Greek-Hebrew idiom, and, for the majority of your readers, it is closest to what we will hear in the lectionary for the forseeable future. More than 30 words, but as long my case has been made! English translations of Pope Benedict the XVI’s works uses the RSV. If it’s good enough for the Vicar of Christ, it’s good enough for me. Sorry, that was by Jose Grajo. ESV, it follows the Tyndale-KJV-RSV tradition its wording is very traditional and familiar. I believe it will become the ecumenical Bible of the 21st century. I think it should be the NAB/NABRE. It's the only one most Catholics in this country will ever hear at Mass or even read/study on their own. The Liturgy of the Hours also uses the NAB. I understand that the psalter is a different story; e.g., the Grail, the Revised Grail, and the 1945 version still used at Mass. Don't get me wrong, I like the RSV. Well, considering that your blog is in the United States and the contest is for those in the United States. 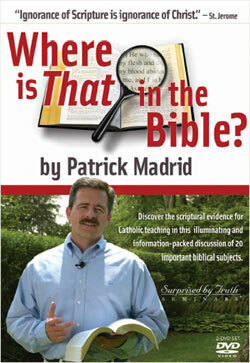 Than the Bible you use, should be the one the Bishops have chosen for the United States. It's a good translation and everybody will be on the same page. I'm not entering the contest, but I wanted to put in my two cents. I don't think your blog needs an "official translation" -- it seems to have done quite well for several years without one. In particular, you often contrast multiple translations, and let readers argue for strengths and weaknesses of each translation, and it seems that sheds more light than an absolute appeal to an "official translation." However, if you feel it is absolutely necessary designate a particular translation as "official," I suggest you choose a more recent translation such as the NABRE or NRSV. The RSV-CE is now nearing its fiftieth year. In fact, the RSV-CE appeared the same year as Dei Verbum. If we think that Dei Verbum had a dramatically positive effect on Catholic biblical scholarship (I certainly would argue that), then we should support those translations that have benefited from the fruits of Dei Verbum. I will still be doing the comparison of translations, but plan to use a single translation for devotional, apologetic, or liturgical posts. Not to be a nitpicker but Dei Verbum pre-dates the RSV CE by about a year...Dei Verbum was one of the last documents of Vatican II to be published because it was highly controversial from the beginning and is the product of much debate. It was published on November 18, 1965. The RSV CE came almost a year later, on Sept 30, 1966. Michael (Biblical Catholic) -- thanks for your correction. I should have been more specific and said the "RSV-CE New Testament." In fact, I read a claim (repeated on Wikipedia) that the RSV-CE New Testament was completed in 1956, but imprimatur was delayed by almost a decade by Bernard Cardinal Gray's untimely death. As is well-known, Gordon Archbishop (later Cardinal) Gray finally gave imprimatur to the RSV-CE in 1965. Personally, I think Dei Verbum made a difference. I love many pre-Dei Verbum Bibles, but I think that translation is an ongoing process -- not one that was frozen in 1966. I would agree with people who say NABRE, as it is the one most US Catholics will recognize.